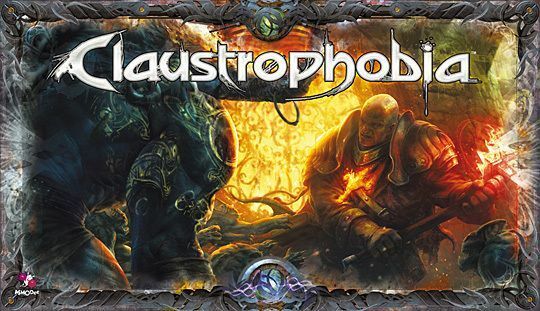 Claustrophobia is a miniatures-based dungeon crawl game set within the universe of Hell Dorado. The box contains pre-painted miniatures which are placed on large tiles showing the dungeon spaces. Also included are character boards, counters and markers, and dice.